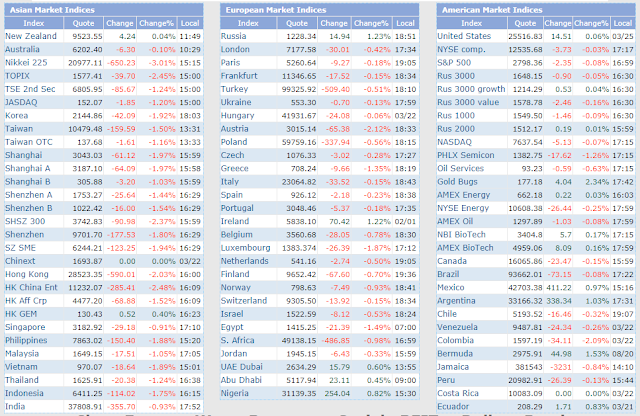 Judging by one-day percentages lost, Monday’s market action was a bad day for Asian markets, as shown below. 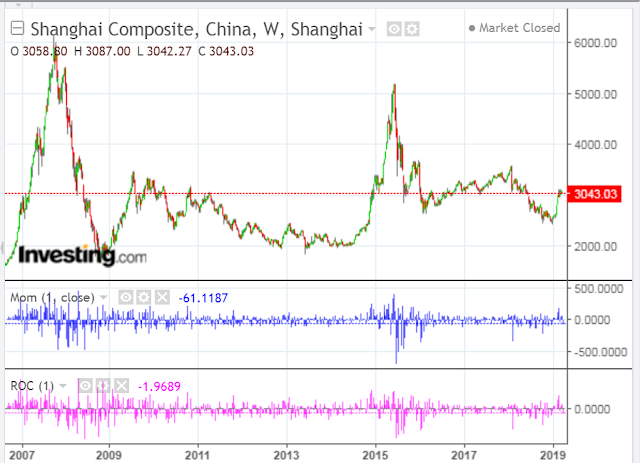 China’s Shanghai Index is facing long-term major resistance at current levels, as shown on the following weekly chart of SSEC. I’ve shown the input values of the momentum (MOM) and rate-of-change (ROC) indicators as one period. They’re both still below the zero level and have, in fact, been declining on recent attempts to move higher during March. If price breaks and holds above, say, 3150, I’d like to see both of these indicators also break and hold above zero, while making new highs, as well, to confirm the sustainability of any further meaningful advancement beyond that price.